I’ve always been a big fan of Under Armour clothing. I’ve used this brand for most of my workout clothes. They last a long time. 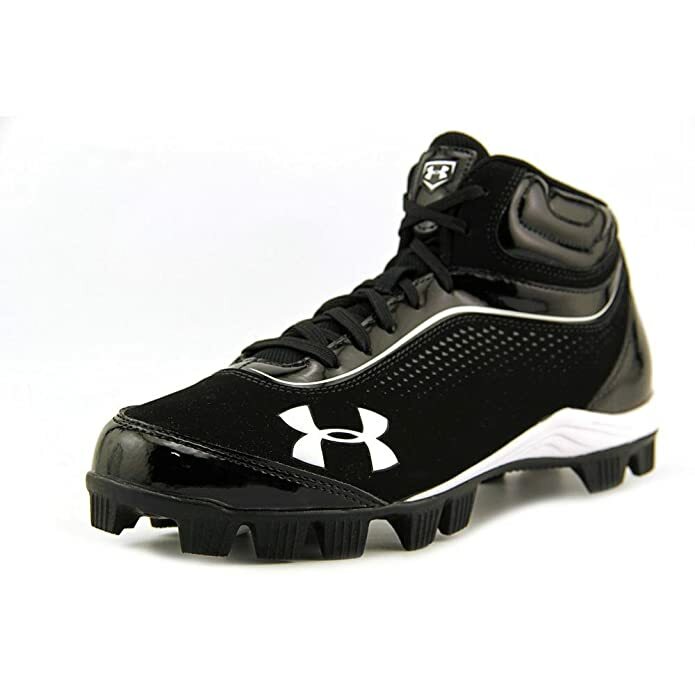 I’m excited and jealous about this pair of Under Armour mens leadoff IV mid molded baseball cleats because they are super sharp and super popular. You can get them in black or gray. Did you know that currently Under Armour is the Official Performance Footwear Supplier of MLB? Pretty cool huh? If they are good enough for MLB then you know they will perform well. Always wanted to know more about the Under Armour Leadoff IV baseball cleats? Keep reading to learn more. This pair of cleats is a bestseller and offers free shipping. Check all of the options on the ‘Today’s Favorites” link below. This pair of cleats was designed for baseball first but also can be used as softball cleats because it has the molded cleats and not the metal baseball spikes. This comes in two colors. Black/kaleidescope/white as well as gray/kaleidescope/black. Both are equally sharp. It has been said that this cleat is perfect because it’s true to the real size of your foot. It doesn’t run small or big. It’s also been said by customers that a major selling point was the weight of the cleats. I don’t know if you’ve ever had to wear a pair of heavy cleats but it’s no fun at all. It slows you down whether you’re in the batters box, running the bases or playing out in the field. That’s not the case at all with these cleats. Watch this video to get an overview of cleats and why they are important to the game of baseball. This guy knows what he’s talking about. He’s obviously played the game and coached too. Worth watching if you ask me. Under Armour baseball gear has been at the cutting edge in equipment and apparel for a long time. I believe I bought my first UA apparel back in 2002. From batting gloves to cleats to apparel they are a very popular choice among players of all ages. They offer several top models of cleats in both metal and molded rubber so you are sure to find at least one or two that you might want to look into further. The comfort and traction of this cleat are second to none. All colors offered are easy to clean and I would recommend you do so after each game. They offer black/white, gray/black, red/white and another grey/black combination. I’m not completely sure when these cleats will become unavailable. This particular model is a few years old. For that simple reason plus all the benefits listed above I would snag these while you can. They look nice, they perform well and they will last you for more than just one season if that’s what you’re looking for. Compared to other molded baseball cleats they are right up there near the top in all those categories. If you look at any of the Under Armour molded cleats you will see top customer reviews and ratings. You just can’t got wrong with their cleats.